Hear from Compost Company’s Clay Ezell on the Mayor’s Food Saver Challenge and how The Compost Company is on track to divert almost 10 million pounds of organic waste this year. Once you’re looking for compostable materials, you see them everywhere. “Unofficially anything that was once alive is compostable. It can be treated instead of trashed,” said Clay Ezell, Co-owner of The Compost Company. The Compost Company is the only fully-permitted commercial composting facility in Middle Tennessee. Clay and Jeffery Ezell run the company, on a farm, located just outside Nashville in Ashland City. Together, they are changing the way Nashville businesses collect and recycle. “In a perfect world everyone would take care of their own but we handle the commercial waist for the most part. And that’s going to give places like the Farmers’ Market or hotels, or restaurants, grocery stores an outlet for that. Because they don’t have a place to process it on their own,” he said. Just since April the Nashville Farmers’ Market has composted nearly 80,000 pounds. They’ve even started to use utensils that can be broken down. “So instead of a traditional plastic there are plastic cups that are made of corn and we can take and process those and turn them back into a soil product,” he said. Tasha Kenard is the Executive Director at the Nashville Farmers’ Market. She says composting is getting them closer to their goal of becoming a zero-waste facility by 2020. “They’re helping us find new ways to reduce our waste,” she said. The waste collected at the market actually comes full circle. Once it’s collected and taken to get processed it comes back in the form of soil and is later sold as bagged compost at the market or used on area farms. When Nashville residents drop off their glass bottles, paint cans and old batteries to recycle, they can now also bring food scraps. The mayor’s office announced Friday that residents can drop off compostable material at the Omohundro and East Convenience Centers. Sustainability manager Mary Beth Ikard says the city audited its waste stream earlier this year and saw a big opportunity. The Country Music Hall of Fame and Museum has fed nearly 8,000 hungry people with excess food donated from its kitchens since late December, said Karl Ebert, the museum’s associate director of operations. The popular tourist and event attraction in downtown Nashville has ramped up its food waste initiative by giving its leftover food to the Nashville Rescue Mission and by starting a composting program. Since Feb. 22, museum officials estimate, the kitchen staff has composted 10,324 pounds of material. The museum is one of more than 50 Nashville restaurants and venues participating in Mayor Megan Barry’s first-of-its-kind Food Saver Challenge, which runs through May. Participants range from Opry Entertainment and the Hilton Garden Inn to Strategic Hospitality and Dozen Bakery. Local entrepreneurs Edward Wansing and Clay Ezell are betting on the “garbage revolution” coming to Nashville. And they’ve landed a pretty big first client: Music City Center. Their startup venture, The Compost Co., raised $165,000 in May to fund equipment upgrades at their 37-acre Ashland City composting site. The duo also signed a deal to compost the chicken dinners at the new convention center. In fiscal year 2014, the convention center served 786 banquet dinners and generated an estimated 8 tons of compostable waste, according to its annual report. Until recently, composting in the U.S. has largely been led on the grassroots level, but now, municipalities and large, private industry waste producers like sporting arenas and grocery stores are seeing the benefits. New York City announced plans this week to expand its residential composting program to an additional 33,000 houses, part of Mayor Bill DeBlasio’s plan to have all NYC residents composting by 2018. New York is one of a handful of large American cities that has passed regulations in recent years requiring residents to compost, the process that recycles organic waste (think, food scraps) into a nutrient-rich soil. In Seattle, starting this year, if you don’t compost, you get fined. Nashville’s Music City Center has signed a contract with The Compost Company to increase its focus on sustainability. Adding the partnership with The Compost Company follows the Music City Center’s effort to minimize its carbon footprint, center officials said. The Compost Company will start handling Music City Center waste in July. With more than 300 food related industries in Tennessee, waste management can be a considerable – and costly – challenge. Composting agricultural byproducts can be a cost-effective, sustainable solution that takes production waste out of landfills and puts it back into the soil. The Compost Company in Ashland City, Tenn., is turning organic waste products into a high-yield compost material for farmers, landscapers, and gardeners. The temperature of the compost is also very important, and is partially dependent upon the mixture of materials in the compost. While using a probe to measure the temperature of the steaming piles of compost, Ezell added that, “Sight, smell, and consistency are our primary metrics.” Proper temperature, as well as the correct ratio of carbon to nitrogen, guarantees that those three metrics remain correct, and that the compost does not smell bad. Customers of The Compost Company include Caterpillar, US Smokeless and Organix, a vendor to Wal-Mart. Nashville’s new Music City Center, which has its own sustainability management plan, provides feedstock to The Compost Company, as well, which includes food prep waste, compostable plates, box lunches, and paper towels and napkins. The bulk of The Compost Company’s customers includes farmers, landscapers, and gardeners, “but there have been some surprises as well,” adds Wansing. “The most unusual use of our product was by a pet food facility for a bio-filter. They built the bio-filter to clean the air before discharge from the facility (to minimize odor).” The Compost Company has also sold compost for use in several rain gardens that filter stormwater runoff from parking lots before it enters the watershed. The Compost Company, which diverts food and organic waste from landfills for recycling into nutrient-rich soil products, has completed its next round of growth funding, furthering the rapid expansion of its organics recycling services for local waste generators.  The Compost Company is Middle Tennessee’s only provider of fully-integrated organic waste recycling services, providing waste collection and processing services along with the sale and installation of nutrient-rich soil amendment products including compost and mulch. By diverting organic waste from landfills, the Compost Company’s services reduce waste disposal fees for waste generators such as restaurants, grocery stores, hotels, schools and corporate offices, helping them achieve their sustainability goals and reduce greenhouse gas emissions. “This additional round of funding will enable us to continue expanding our business to meet a rapidly growing market demand. More and more corporations, municipalities and other organizations are looking for partners like the Compost Company to meet their sustainability goals and our end-to-end organic waste recycling services provide a one stop solution to meet these objectives,” said Ed Wansing, Founder and Chief Operating Officer, The Compost Company. The Compost Company currently processes over 200 tons of organic waste per month through partnerships with The Music City Center, Caterpillar Financial Services Corporation and the City of Clarksville, among others. The additional funds will help the company scale its hauling operations to serve a greater number of clients throughout the region and add processing capacity at its 37 acre site, located in Cheatham County. For more information visit our website at www.compostcompany.com or contact us at info@compostcompany.com. A common refrain from farmers and gardeners who are just starting out is that their soil is hurting. Either it drains too fast or it doesn’t drain at all. Either nothing grows or the land is one mass of lawn or it is overgrown with dense, thorny blackberries. Perhaps neighbors have been using the land to dump all measure of trash and old building supplies. Or all of the above. Once the building supplies are cleared out and the unwanted plants cut down, what’s next? Some people would plough, rototill, cultivate, and/or disc the soil at this point, attempting to disturb the roots of the undesired plants. I am not enough of an English or Agronomy major to differentiate all those verbs, but they all involve some form of deep digging. If you farm organically, you can dig some compost into the soil at this time to improve the overall fertility. Some people eschew the disruption to the soil involved in digging deeply and prefer to sheet mulch. They lay large sheets of cardboard flat over the bed space, overlapping all edges, and leaving no holes. Layers of biomass are then added atop the cardboard. Finally a layer of compost is added, followed by a layer of mulch. This method has the added advantage of preserving the life in the soil – the insects, worms, spiders, bacteria, and the fungi that give the soil structure and fertility. It has the added disadvantage of being labor intensive. Which is why some folks make a permablitz party of it, inviting their friends and neighbors to help. Needless to say, there are endless variations on how to get your soil in shape for planting. But both methods mentioned above involve the application of compost. Compost is partially decomposed organic matter. It is nature’s way of refashioning leaves and other plant debris that have fallen to the ground, into rich soil. When humans compost, we add vegetable scraps, grass clippings, wood chips, coffee grounds, leftovers-gone-bad, and all manner of human-altered organic matter. Adding compost to the soil each planting season adds fertility, promotes soil microbes that aid plant growth, helps the soil retain moisture, extends the growing season, and neutralizes extreme soil PH. No wonder some call compost “Black Gold”. When you are starting a farm or garden and don’t have any compost at the ready, you’ll need to go to the compost store. If you are planting a large area, you’ll need to go to a large compost store. Some municipalities divert portions of their community’s waste stream to create compost and provide it to the public for free. Massachusetts, Connecticut and Vermont, as well as Seattle, San Francisco and Portland, have all banned large institutions from sending their food waste to a landfill. A few years ago, I visited San Francisco and discovered curbside collection of food scraps. I felt so virtuous, when I put my food waste in the compostables bin. And who turns this raw material into Black Gold? That’s where the Compost Company and others like it come in. I spoke with Ed Wansing at the Compost Company, in Ashland City, Tennessee. He launched into a description of the various blends he produces. His premium screened blend includes wood chips, leaves, tobacco-growing waste, and cafeteria waste. The compost mulch has the same ingredients as the premium screened blend, but twice as many wood chips. Ed adds QuikSoil, an organic decomposition accelerator, to hasten the process. Even so, on average, it takes about a year for Ed to produce his compost. Last year, Ed finished fourteen long rows of compost. So far he has sold ten of them and hopes to sell the rest by the time this year’s new rows are ready to sell. I asked Ed if he is making a profit in this 2 1/2 year old enterprise. He is not quite there yet, because he is still in the process of reinvesting all profits back into the business. In some respects I am a lazy gardener. And I am, most assuredly, lazy about composting. I scatter my household kitchen scraps around the base of fruit trees, cover with wood chips and leaves, and let nature take its course. But, if I wanted to sell compost, then it would need to look as lovely as Ed’s mature compost. His is friable, comes in deep earthy colors, smells lovely, and I could see the fungal growth taking hold when I looked closely.